Yesterday, a printed pattern would have been handy! With not too much else to do, I thought I’d play at making another gnome (or Santa). With light just from the fireplace it was interesting to imagine the conditions that people of days gone by worked in AND created such fine work. 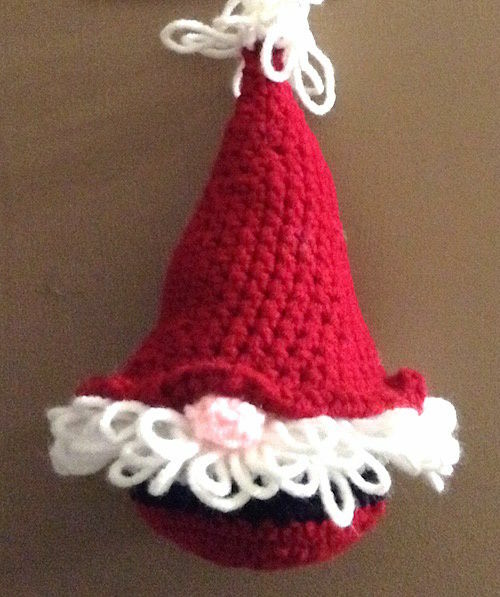 I think I did pretty well, couldn’t see any missed stitches… and it does look like a Santa Gnome.